It was a calculated business decision. When Markus Rautio, a Finnish radio broadcaster known as “Uncle Marcus,” reportedly declared on-air in 1927 that Santa’s workshop had been discovered in Lapland’s Korvatunturi, or “Ear Fell,” the notion of that Santa Claus lived in Finland became part of the public consciousness, at least in Finland. After all, there is nothing for reindeer to graze on in the North Pole, but they roam free in Lapland, as the Finnish like to say. 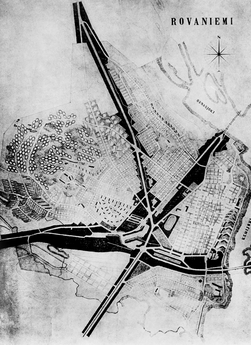 But establishing the provincial capital of Rovaniemi, rather than remote Korvatunturi near the Russian border, as Santa’s “official home town” was much more of a calculated business decision, albeit one that took decades. Tourism proved the key to Finland’s economic reconstruction. As soon as 1957, The New York Times Travel section was writing about trips to “Europe’s northern wilderness” during the summer solstice, when the sun never sinks below the horizon. “To see the mid-summer championships in which lumberjacks shoot the rapids standing on a single piece of timber, the capital of Finnish Lapland, Rovaniemi, is the place,” the Times recommended. But it wasn’t until the Finish tourism board, under pressure to boost visitors, decided in 1984 to market Lapland, as scholar Michael Pretes reports in “The Santa Claus Industry,” as the official home of Santa Claus, that Finland truly embraced the legend. In December, Asko Oinas governor of Lapland, declared the province “Santa Claus Land”and the Santa Claus Village was opened just miles outside of Rovaniemi in 1985, complete with a post office that would stamp mail with a special “Arctic Circle” postmark. In 1989, 16 of the largest companies in Finland formed the “Santa Claus Land Association,” whose “sole function lay in marketing the Santa Claus idea,” as Pretes writes. The group sent Santas from Lapland to as far away as Beverly Hills to promote tourism. Some of the area’s dark history still lingers—Santa Claus’ Official Airport is a former Luftwaffa airfield, and the woods near Santa’s office are dotted with the remains of Nazi support structures. But much of the area has been completely Santa-fied. 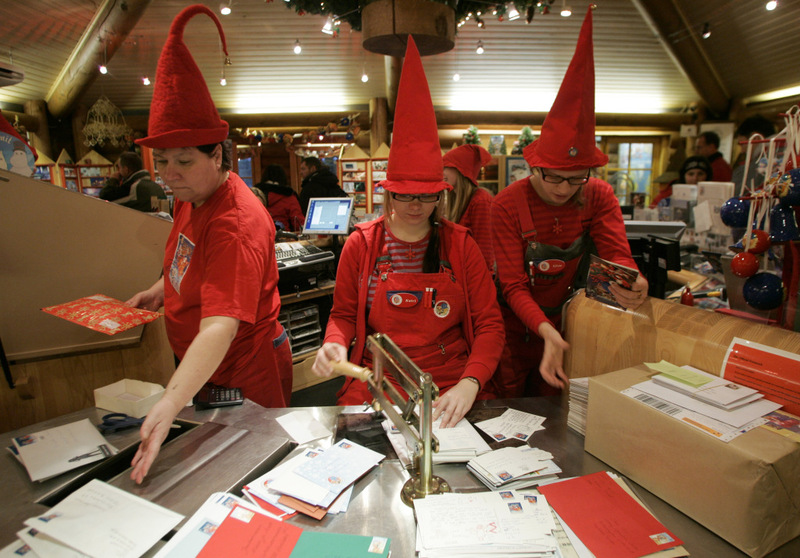 Postal employees dressed as elves receive about half a million pieces of mail a year addressed to Santa, and for €7.90, you can request a reply. They stamp millions more outgoing letters, sent by visitors who are keen to send mail with the Arctic Circle postmark. Rival Scandinavian nations, particularly Denmark, have not been thrilled by Finland’s appropriation of the nordic Santa Claus. Maybe that explains why Denmark just claimed sole ownership of the North Pole. Heather Timmons is an Asia correspondent for Quartz.